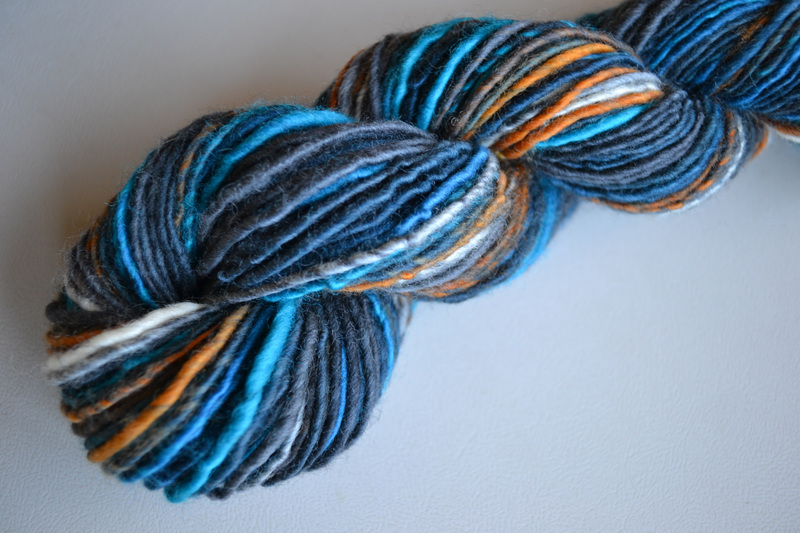 At long last I have a new handspun to share with you! I definitely have to get used to the fickleness of dry times in the autumn once again. There are days that are cool and dry and sunny when I can hang handspun yarn outside and it’ll dry in a day. 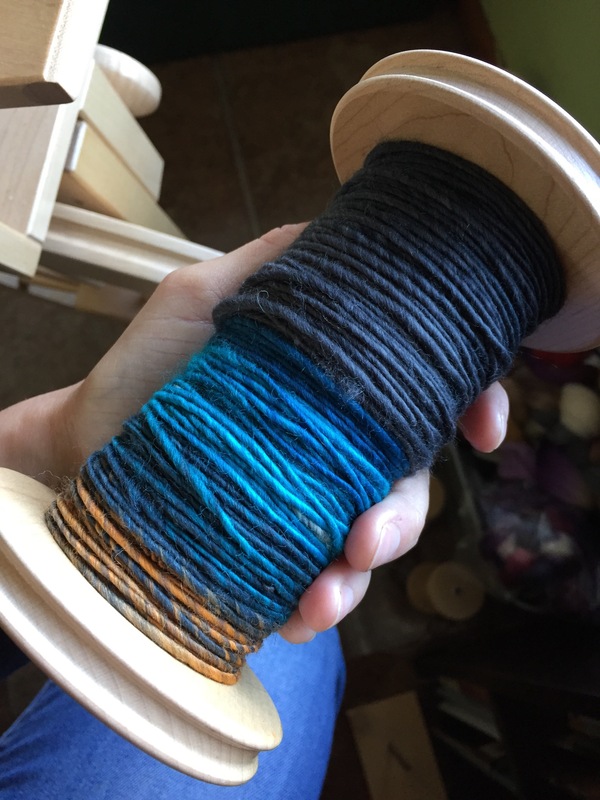 Then there are the strings of cool, wet, cloudy days that make drying handspun so s l o w. And that’s just what I faced in trying to dry my Spotted Purple Admiral from Three Waters Farm. 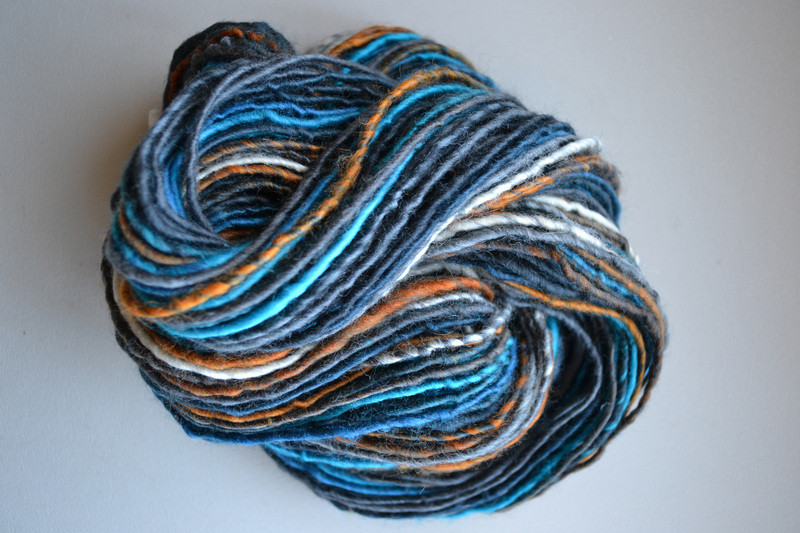 If you’ll remember, I spun this Finn Top into a single one morning and then let it rest for a lot of days. Then I washed & set it and let it dry… for days (and days and days). And now it’s finally dry. It’s a bit over-twisted, something I’ll definitely attempt to make adjustments for in the future, but I still think it will knit up just fine. I love the colors — they feel very much like they were plucked right from the natural world. Of course, I’m sure they were by Mary Ann’s talented hand as influenced by the bounty of life on her lovely Three Waters Farm in North Carolina. As I’ve said before, she just has such a skilled touch with color. In setting it, I did lightly felt it to make a slightly sturdier finished yarn. I’m hoping to make a simple hat, but as I only got about 130yards of worsted weight yarn it will probably be a bit light on yardage for my own head. I’ll probably try to make it work, but if I run short I’ll most likely just hand it over to my daughter. She’s always stealing my hat anyways. And really, isn’t this the best problem for a knitter to have? I don’t think there will be a lot of waiting between now and knitting it since I’ll be winding this skein very shortly… like probably as soon as I press publish here. I’ve been kicking it with the big shawl project I’ve been working on and a quick knit seems like it’s in order just as a treat, don’t you think? I love knitting hats. 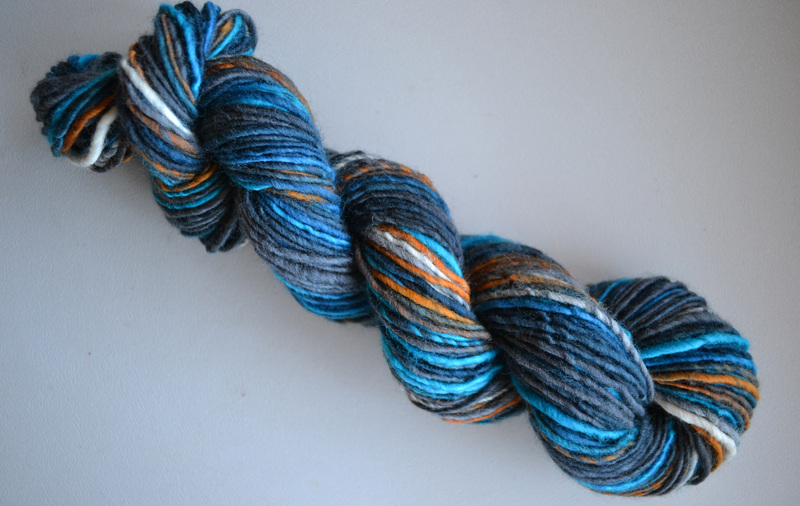 Your hand spun is stunning. Lovely colors. I have a hard time thinking in color, but clearly you don’t. Nice work. It’s taken me quite a while to start to see it — and I still have some pretty big blind spots, but I try! Thanks! 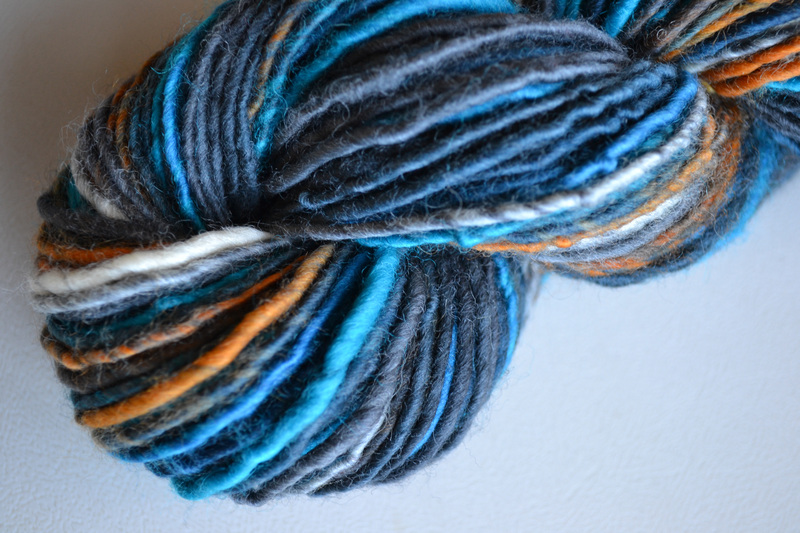 So pleased with the dyeing from Three Waters Farm!